On September 23rd, just over a month ago, I announced that until October 31st I would give all the proceeds from my books as donations to those in need after the hurricanes. I was hoping to raise loads of money; unfortunately I only managed about $18.00. I’ve decided, therefore, to give all of the money to the Red Cross, to help the people of Puerto Rico. It’s not much–yet. But there are still two days to go. So in a last-ditch attempt to give aid where it’s needed, I pledge to match all the proceeds from my books sold until October 31st, 2017, at 11:59pm, with my own money. * That means if you buy All Good Stories, $o.70 will go to charity. 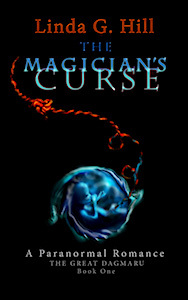 For the e-book version of The Magician’s Curse, $4.20 will be donated, and for the paperback of the same title, you’ll be donating $12.50 between you and me for each book. Please let me know if you buy a paperback–it takes Createspace three days to let me know I’ve sold one. I’m strapped for money myself, but I know there are people out there who need what I have more than I do. There are things I can go without–they’re hanging on by a thinner thread than mine. However, I have faith that the universe will provide me with whatever I need. So what do you say? Shall we do this? Here, again, is all the info about the books with links. Please share far and wide. Thank you for your time and your generosity. *My limit is $200CAD. If I sell a million copies, I won’t be able to match the donations from my proceeds. 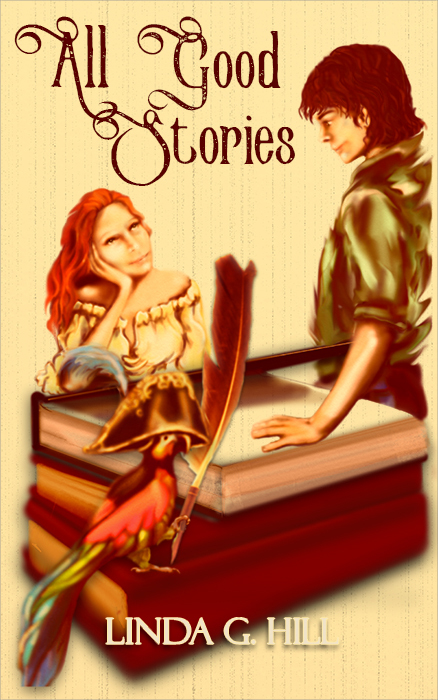 Categories: All Good Stories, The Great Dagmaru | Tags: #amreading, #romantic comedy, Amazon, caring for one another, charity, donations, Gothic paranormal romance, love, Puerto Rico, readers, Red Cross | Permalink. Madigan: (looking down at a picture on her lap) I don’t believe it. Madigan: Barb has been having an affair with your brother all this time? Madigan: (snorts) She’s your wife. I feel like I’m living in a soap opera. Where are they now? Ken: On a beach in Barbados, according to the private detective. (points at the photo) I recognize the resort. We went there for our honeymoon. Madigan: (shakes head and looks up at him) So what are you going to do about it? Ken: Ask her for a divorce. And marry you, if you’ll have me. Madigan: What about the lipstick on your collar? Ken: That was just Barb trying to make you jealous. She already knew about our affair. Madigan: (sighs) I should have guessed. (looks at him sharply) Wait, was that a proposal? Ken: I don’t have a ring or anything, but … yeah. Madigan: (blinks away tears) I want to say yes. But what are family gatherings going to be like? Ken: (huffs out a laugh) About as awkward as they have been since we started seeing each other behind Barb’s back. God knows how long she’s been screwing my brother. Madigan: (takes his hand) I wonder if they’re as happy as we are when we’re together. Ken: I hope not. So, what do you say? Will you consider marrying me? Madigan: (frowns) My dad’s going to get sick of walking us down the aisle to meet you. Ken waits silently, gazing into her eyes. Madigan: Let me think about it. Categories: fiction, Scecond Seat on the Right | Tags: affairs, Barb, disfunctional families, Flash Fiction, Ken, love, Madigan, marriage, micro fiction, scene, short fiction | Permalink.